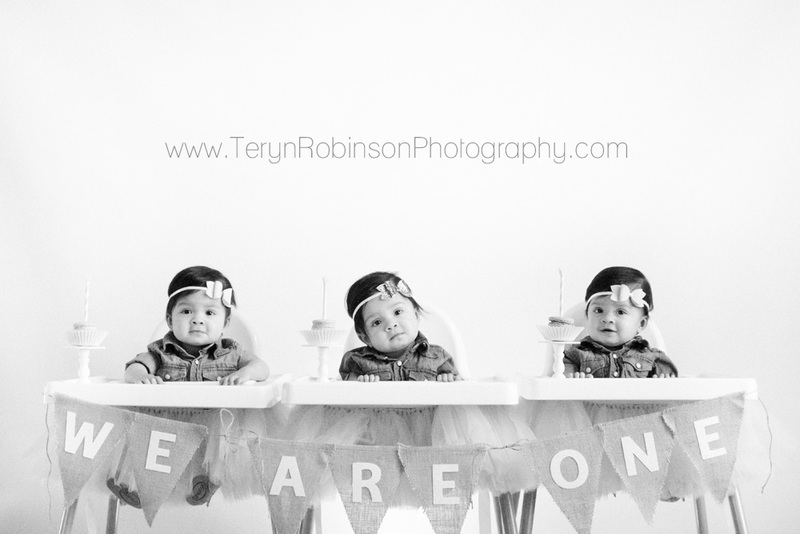 Robinson Triplet Update – We.are.ONE!!! I still remember the day we found out we were having triplets like it was yesterday. What a journey we’ve been on since that day. We moved 3 times, not even including in and out of the hospital for 4 months. We spent 5 weeks in antepartum. Alvin didn’t leave me alone a single night. He would leave to work and train, and always came back to me in the hospital. We started referring to the hospital as home and that was before we knew how long that building would really be our home. I was admitted at 26 weeks and at 31 weeks 4 days, we met our little angels. Our family spent 77 LONG days in the NICU (neonatal intensive care unit). We were two hours from home (my in-law’s which is where we called home at the time) and were not comfortable leaving 3 tiny babies alone so one of us was there at all times. We each tried to let the other get 4 hours of sleep a day and we did shifts to make that happen. Alvin would stay up all night while I slept in a nearby empty hospital room (if one was available) or in a recliner in the NICU. I would sleep a few hours between pumping, wake to pump, get my milk over to the girls, and then try to get another round of sleep if possible while Alvin did all of the night time feedings and care times. In the morning he would drive up the street to The Ronald McDonald House and try to sleep for a few hours before work, training, and running all of our errands. He did our laundry, picked up food, and whatever else I needed him to do. We literally did not go home for 110 days total. Those were the longest and hardest days of our lives. Each day seemed to last an eternity as we anxiously waited to hear that the girls would be going home but that never happened. Day after day, week after week, and hurdle after hurdle, it felt like we were were never going to see home again. Then one weekend, God sent us the right doctor who agreed that the girls were not progressing and would do better at home…. even if it meant discharging them all with NG feeding tubes. Nobody else was comfortable with that scenario so it took some convincing. We learned how to place the feeding tubes in case a baby pulled theirs out at home. We learned how to work the pumps and how to administer a feeding using the tubes and pumps. We were instructed to never leave a baby unattended while tube feeding (even for the middle of the night feeds). It was very important not to fall asleep either. If they reached up and pulled their tube out while a feed was being pumped into the tube, the feeding could go into their lungs causing aspiration… and it could be deadly. Within a month of being home, we got all 3 girls eating on their own enough to gain weight and remove the feeding tubes!! What a relief that was! This year has been full of so many ups and downs but what a blessing these girls are. Yes it’s hard work raising 3 babies the same age, at the same time, and not just 3 babies but 3 preemies who had sever feeding issues. Yes, sometimes I wonder what it would be like to have just one baby to care for and cuddle and what it would have been like to have a normal pregnancy and take my baby home with me when discharged. Sometimes I yearn to be able to take my babies out and show them off like normal first time parents do but we can’t because we have to be so careful about germs and them getting sick. If they were to get a common cold it would likely land them back in the hospital on ventilators and could even be deadly. Through all of this, I remain so very thankful that things weren’t worse. I have known multiple triplet families who lost one, two, or even all three of their angels along the way. 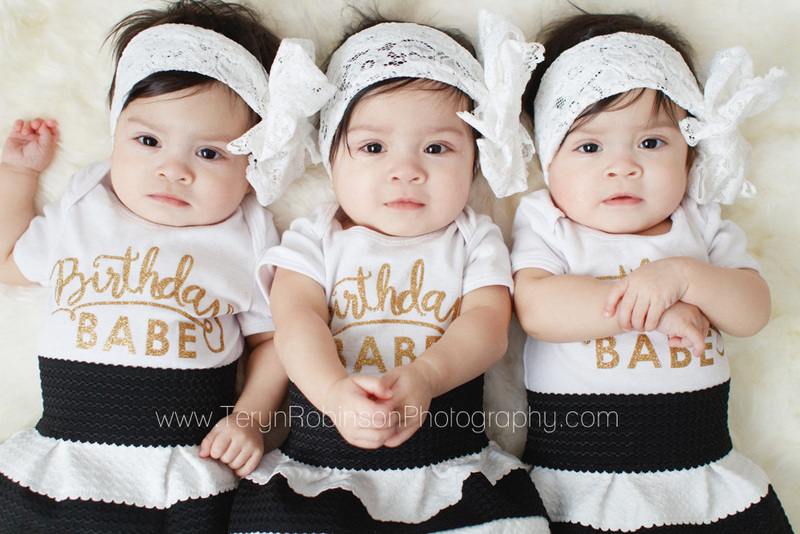 We have remained together as a family and have 3 beautiful healthy girls that are now one year old. We have lived in hospitals, with my in-laws, and in two houses this year, but we’re back in our house and getting settled in. I can start to imagine all of the wonderful memories we’ll make here. I’m very thankful that I learned photography before having babies so I can capture and document all of the craziness. This has not been an easy road but what road worth traveling is? God has given us strength and wisdom through it all and has provided for us in ways we never could have imagined or asked for. It’s amazing that through it all we’ve had the internet and social media to be able share our story and our babies. I get messages almost daily telling me what blessings the girls are to us and to others… how they make people smile every time I post a picture or how our story is encouraging someone else through their struggles. Starting with my first pregnancy and miscarriage, I prayed that God could somehow use that to reach and bless others, and he has in mighty ways. 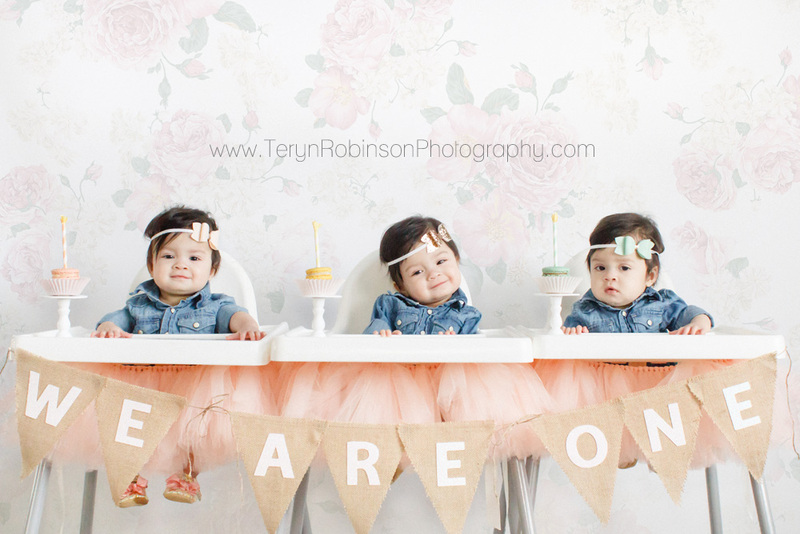 On November 11th the girls turned one. We didn’t throw a big party. We stayed in as a family and just appreciated where we are, how far we’ve come, and all of the things we have to look forward to. I recently started following you when I stumbled across your feed on Instagram. I too had a few miscarriages and and now blessed with identical twins. Our story is not as dramatic as your story. So many things that you shared are so relatable however. Every trial brings a treasure and if you’re lucky it brings more than one. Praising God for all of our miracles. Thanks for sharing the beautiful journey.